V.S. Naipaul, Controversial Author And Nobel Laureate, Dies At 85 Naipaul was born in Trinidad, and his relationship to his birthplace was nothing if not complicated. He was often criticized for the way he depicted developing countries in his novels. V.S. Naipaul, seen here in 1968, once told NPR, "It's important to avoid the wallow. It repels the reader." Naipaul's relationship with Trinidad, his birthplace, was nothing if not complicated. His grandparents emigrated there from India as indentured servants, and Naipaul has said he thought it was a mistake that he was born there. Here's how he described Trinidad in a 1994 NPR interview: "After the destruction of the aboriginal people, there was wilderness. And then on that wilderness there began to be created a plantation. And I fear that is how we have to think of the place. It can't be a country in the way you would think of ... Turkey being a country." But Naipaul's 1961 novel, A House for Mr. Biswas, based on his father's life, presented a different view of Trinidad and of the writer. New Yorker book critic James Wood says, "It's extremely funny; it's truly a comic novel. It's a very tender letter to Trinidad in which it's quite clear that the childish Naipaul had gone around the island swallowing all the information he could. It's full of detail. It's really a poem to the island." Still, Naipaul didn't want to get trapped in Trinidad like his father, so he sought and won a scholarship to Oxford. His early years in Britain were difficult; the writer suffered from depression and loneliness. Wood says a collection of Naipaul's letters home reveal what life was like for the young student: "Of course there was still a lot of racism around, and he writes back very tenderly to his parents back in Trinidad about certain slights that are done to him at Oxford. And he also interestingly talks in those letters about how he is determined to be top of his class and write better than any of the Englishmen." 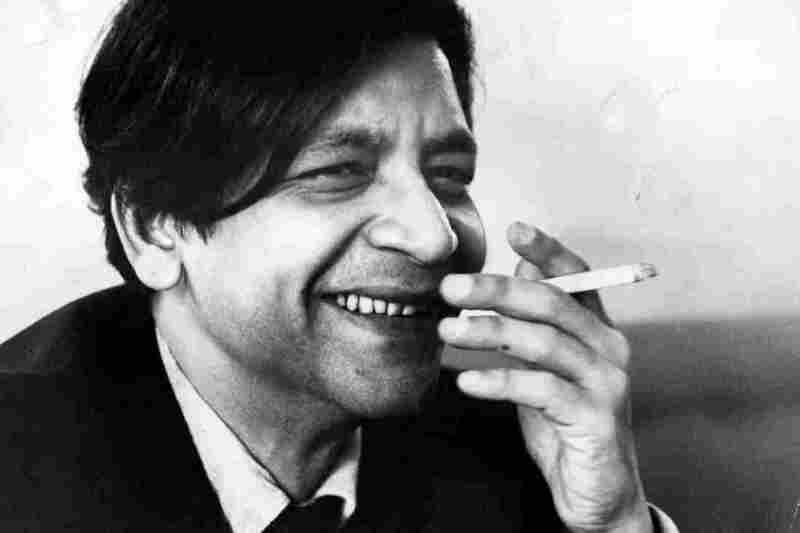 When a collection of those letters was published in 2000, Naipaul told NPR he didn't believe in wallowing in the intense emotions of those early experiences. Instead, he used his writing to work through those feelings. "It's important to avoid the wallow," he said. "It repels the reader. The reader feels: This is so personal, it has nothing to do with me. And the point about processing experience is trying to find the points of universality. You have to step back from the experience and see what there is in it for other people." There was a lot of rage there. ... He wrote with a kind of savagery and prejudice — sometimes even, I think, a certain amount of racism. But according to Wood, those early emotional experiences left Naipaul wounded. "I think the source of the wound was shame," Wood says, "and specifically a kind of colonial shame." He says Naipaul was caught between two worlds — the world of the colonizer and the world of the colonized — and his views on the colonized could be harsh. Naipaul was often criticized for the way he depicted developing countries in his novels. He may have been wounded, but he could also wound. "There was a lot of rage there," Wood says, "and it took various forms. Sometimes, you know, he would write about India or he would write about the Caribbean and, as many commentators have noted, he wrote with a kind of savagery and prejudice — sometimes even, I think, a certain amount of racism." "He went by ship. And everything about the journey so frightened him ... that he found himself unwilling to speak, at first out of pure worry, and then, when he discovered that silence brought him strength, out of policy. So he looked without trying to see and heard without listening." According to Wood, Naipaul's rootlessness and discontent gave his writing an edge and an honesty that often resulted in greatness. "There is something sharp and painful and perpetually interesting about a writer and about a person who can't transcend those wounds and can't heal them and who, as it were, is walking down the street baring the wound absolutely open and vulnerable," he says. "And I think that's something that remained true about his work and about his personality to the end." Naipaul spent his last years with his second wife in the English countryside, far away from his homeland of Trinidad.